How does Rheumatoid arthritis affect the cervical spine (neck joints)? Rheumatoid disease can affect the cervical spine (neck vertebrae) joints as any other joint. What makes the cervical spine joints different is the fact that the spinal cord is in close vicinity & any pressure on the same by the rheumatoid synovium or the bone can lead to paralysis. To understand this, we should understand the anatomy of these vertebrae. 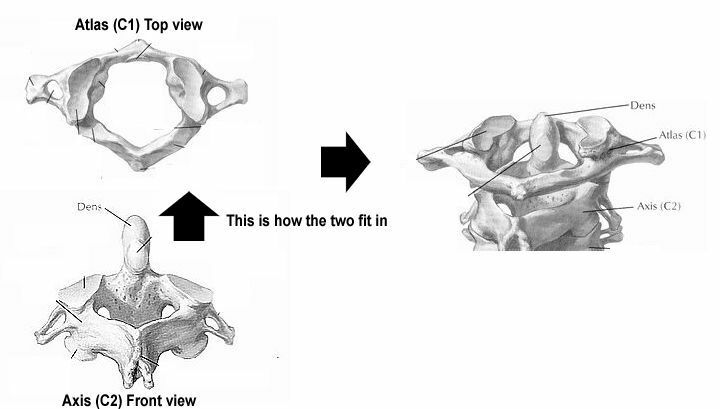 The 1 st vertebra is called Atlas & the 2 nd vertebra is called the Axis. These are ring shaped circular bones. The axis has a vertical structure called the odontoid process (Dens). The atlas sits on top of the Axis & the odontoid process. 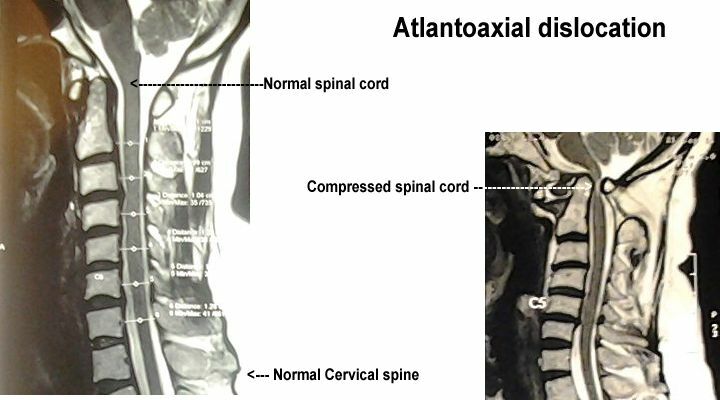 The space enclosed by the atlas has the odontoid process & the spinal cord within. The swollen rheumatoid synovium destroys the ligament (Transverse Ligament) that holds the odontoid process in its position. Once this ligament is damaged, the odontoid starts pressing against the spinal cord. The cord in turn has nerve fibres that control the movements of the limbs. Early symptoms would include weakness in the limbs, neckache, electric current like sensation when one bends the neck. This generally happens with chronic deformed Rheumatoid Arhtirits. Prevention with tight control of Rheumatoid activity remains the best way to avoid this serious problem. However, once the dislocation occurs, surgery remains the best option to avoid damage to the spinal cord.